Queen’s honours recognise the achievement or service to the United Kingdom of outstanding individuals whether they be leaders in their field or committed community and charity workers. They are arguably the most prestigious awards in the world, with an impressive hall of fame. So who would turn down such an award, and why? As to why, many people decline because they feel they deserve a higher honour than the one on offer. This is a silly, short-sighted attitude because few people go from nothing straight to a knighthood/damehood for example, which is the top honour. Our research shows that the majority of people with knighthoods/damehoods have worked their way up the pecking order with sustained achievement over a long period. Also, life’s too short to turn down such an important opportunity in favour of the waiting game, take action now if you know someone who should be nominated. After all, it takes 12-18 months for a decision and the nominee must still be alive and active in their field. Influential film director and producer Alfred Hitchcock helped shape modern cinema, and his psychological thrillers helped him earn the title ‘The Master of Suspense’. Hitchcock refused a CBE (Commander of the Most Excellent Order of the British Empire) in 1962 because he felt it did not properly acknowledge his contribution to British culture. Despite this snubbing, or perhaps because of it, he accepted a KBE (Knight Commander of the Most Excellent Order of the British Empire) in the 1980 New Year’s Honours list, four months before his death. Beloved children’s novelist Roald Dahl turned down an OBE (Officer of the Most Excellent Order of the British Empire) in 1986, primarily because he wanted a knighthood (KBE), which would elevate his status to “Sir” and his wife to “Lady Dahl”. It didn’t work out for Dahl, as he died without any honours in 1990, but will forever be remembered for his fantastic stories. What many people don’t know about Dahl is that he was born in Wales to Norwegian parents, and served in the Royal Air Force during World War II. He was an intelligence officer, acting wing commander and became a flying ace, meaning he shot down several enemy aircraft during aerial combat. I am returning this M.B.E. in protest against Britain’s involvement in the Nigeria-Biafra thing, against our support of America in Vietnam and against ‘Cold Turkey’ slipping down the charts. Beatles fans have campaigned for Lennon’s returned MBE to be put on public display. It has emerged that George Harrison declined an OBE in 1999. The reason? Bandmate Paul McCartney had already received a knighthood in 1997 and Harrison considered the lesser-honour an insult. Sadly Harrison died in 2001. He continued to win awards though. In February 2015’s Grammy Awards, more than 13 years after his death, Harrison received the Recording Academy’s Lifetime Achievement Award. 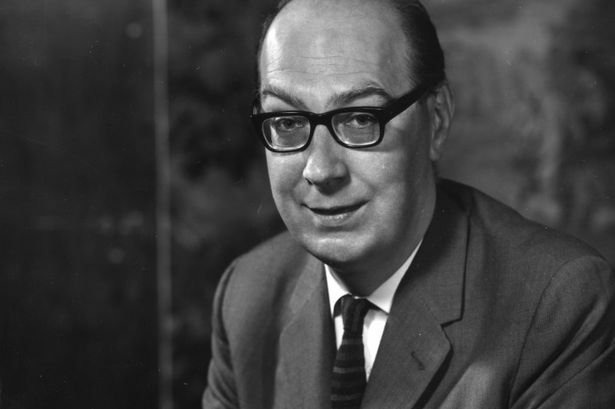 Philip Larkin is arguably one of Britain’s greatest writers. A poet, novelist and librarian who was a lover of jazz, he accepted a number of prestigious honours, including the Queen’s Gold Medal for Poetry in 1965. But in 1968 he declined an OBE. According to Larkin’s biography, written by Andrew Motion, he rejected the honour because he, like Hitchcock and Harrison, thought he had earned more. In the 1975 birthday list a CBE offer was made which he accepted. In 1985 Margaret Thatcher nominated him for a CH (Companion of Honour), and while he accepted the honour by post he didn’t attend the ceremony due to ill health and died soon after.